We have modified our water truck and water carriers to have hoppers to be able to fill quickly during fire fighting operations. 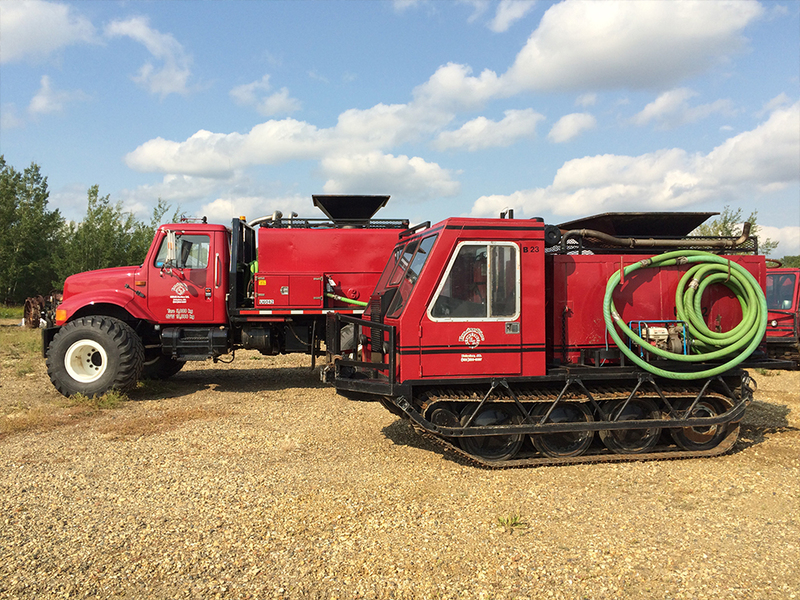 Our specialized 4X4 water truck with flotation tires is equipped with spray bar for building ice road access to remote locations. Our track vehicles can also be equipped with spray bars and drags for access preparation.